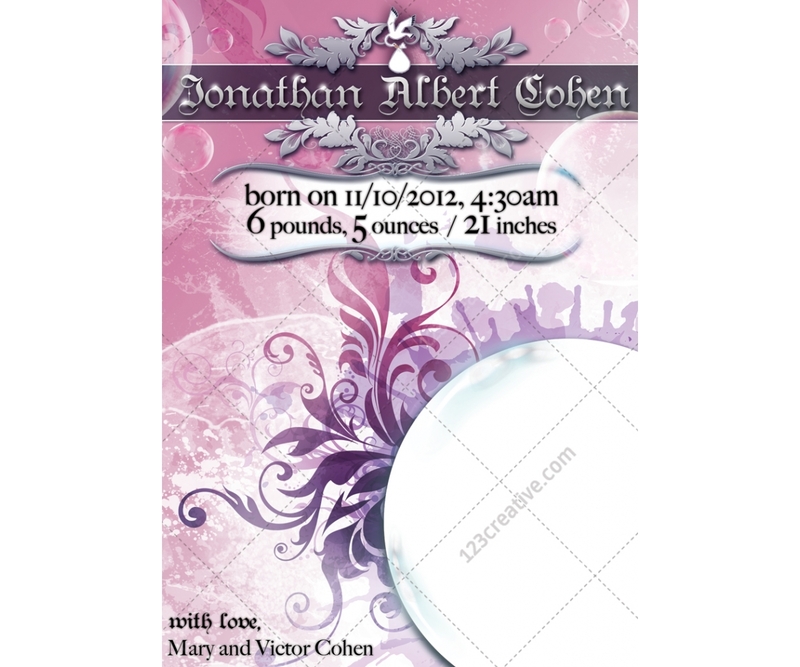 New baby annoucement template - baby card for girl or boy. 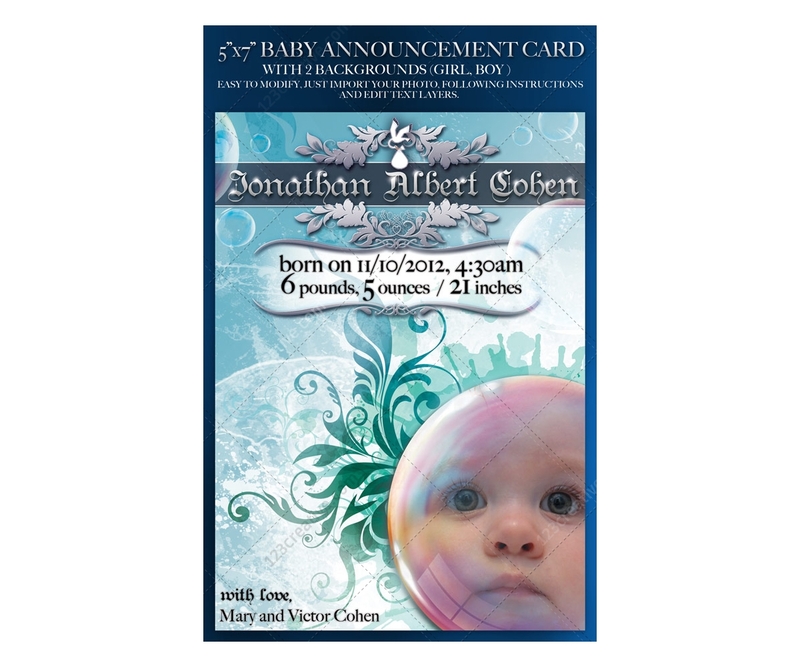 New Baby announcement template - nice notice of childbirth. Ornamental baby card template in 2 colors (pink or blue). 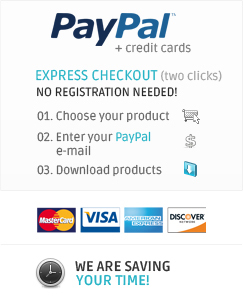 Just change photo and text. Print ready. 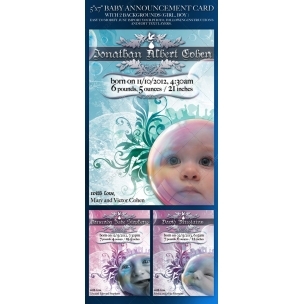 New Baby announcement template - child in bubble - easy to modify 5"x7" card, CMYK with croplines and color bleeds. Enabling/disabling marked layers to switch between "for BOY" and "for GIRL" look (background layers). To add a photo, just right click on the smart object layer called "right_click_replace contents" and right click on it, browse to your image and load it. Resize and reposition if needed. 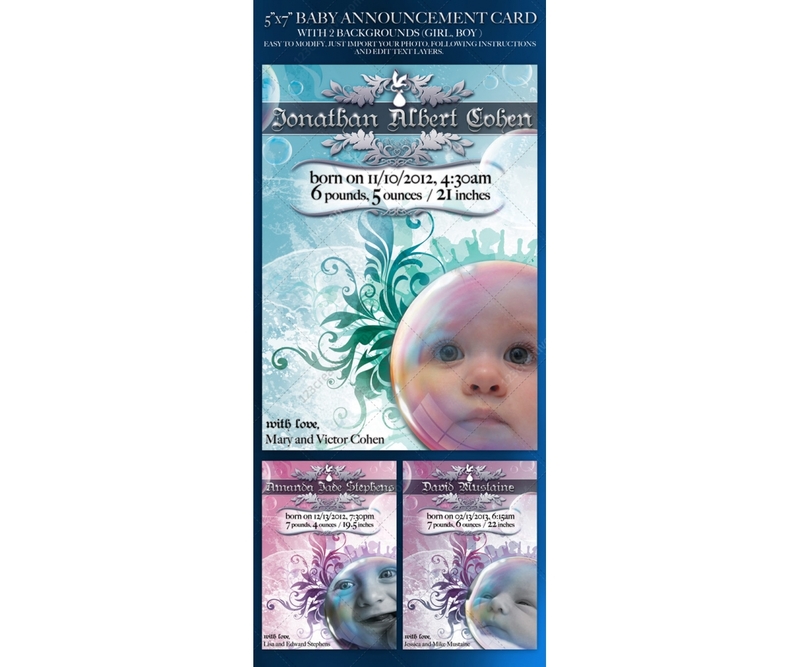 There are small shining objects that you will have to move around to fit your text (name of the baby) in the folder caller "shines" - on top of everything (300 dpi, CMYK, ready for print in dimensions "5 x 7", card is with crop lines, 1 layered psd file). Print dimensions: "5 x 7"